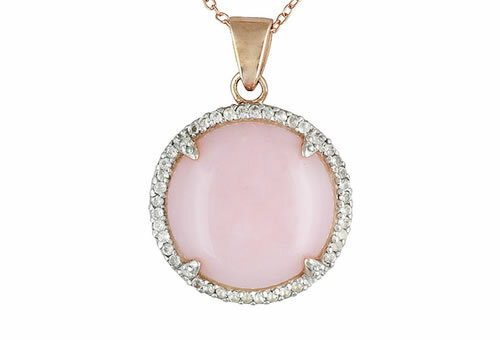 Natural pink opal has no play of color and is a mixture of opal, palygorskite and chalcedony. Nicknamed the 'pink Andes opal', the soft pinks of this opal are appreciated as an environmentally friendly alternative to conch pearls as well as pink coral. Today, Peru is the major producer of this most feminine opal variety that is often carved into beads and occasionally faceted into gems. Pink opal might have characteristics in between common opal and chalcedony because it can be composed of both materials.